Writing a c program for mobile operated robot is not a very difficult task we just have to take the basic block diagram in our mind that a microcontroller get the input and give the decision based on our program. Now form the DTMF decoder we will get the 4 bit data on the port2 of microcontroller 8051.We also know that the data given by decoder is equal to a number pressed by input mobile. HARDWARE CONFIGURATION: Before writing the program we should know the hardware configuration of the circuit where the input's and output's are connected and for what task we have to make the program. INPUT'S: The microcontroller 8051 is connected with DTMF decoder as follow -the port 1 is the input port where the DTMF data bits D0 to D3 are connected with P1.0 to P1.3 as given in the below fig. 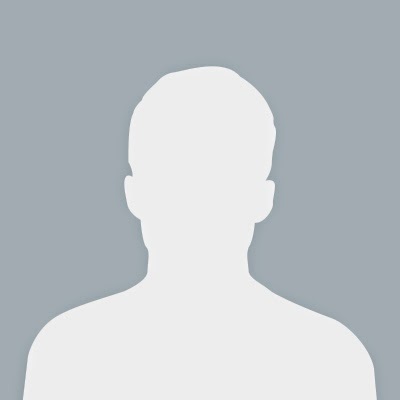 **Note:-for making the port1 as an input port pass 0xff at the port1. OUTPUT'S: The microcontroller 8051 is connected with motor driver as follow: the port 2 is the output port and the pin connection is shown in fig. for moving the motor's in forward direction we have to give 10 to the motor or (M1A =0 & M1B =1) this condition makes the motor M1 in forward direction. **Note:-for making the port2 as an output port pass 0x00 at the port2. CREATING LOGIC: Now the main part of the programming is to create a decision on the basis of some condition like when the key 2 is press then send some data to the output prot of the microntroller now I create a data according to my project you can create your own.I am using the key 2,4,6,8 & 5 for controlling the robot. 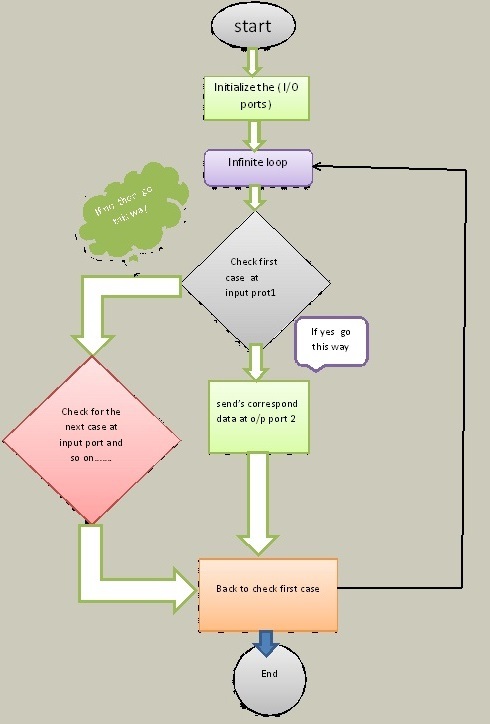 FLOW CHART: Programming is an art which includes some step's the flow chart is also a step of programming we can make the program without a flow chart but for making an efficient and error free program then we should use this step a flow chart of the program is shown below. AstrologyWANT TO KNOW WHAT THE FUTURE HAS IN STORE FOR YOU ? VIDEOCON ASTROLOGY SERVICES CAN TELL YOU NOW !